Kid18120 added a comment to T68548: Where is Altis?. Hey Gumgum, don't like it ? Change game and never see you again > as easy as it seems to be! Kid18120 added a comment to T67234: AH9 & MH9 far too loud. True, littlebirds are not that noisy! Kid18120 added a comment to T67025: Differences between OPFOR and BLUFOR Sniper's ghillie suit. I don't really mind about those pockets but they don't really seem to be that much "camo-destroyers" to me . I will do some tests with a friend later to check how much it actually influences the visibility at different light conditions and on different terrain types! IMO, the differences are on purpose for a simple reason: 2 different armies from 2 different coalitions will most likely have different "way of thinking at.." for the equipment. Also, on a gameplay side, it allows to identify (even if you must be good at spotting) Blufor and Opfor snipers by looking at the details. It's good like this for me. Kid18120 added a comment to T66990: M320R LRR name. i guess that's what dev thinked when setting the name for it! Kid18120 added a comment to T66966: Sniper GM6 Lynx Reload doesn't exit the ADS. Kid18120 added a comment to T66961: Accessing MAP while getting on HELI (during animation) causes character to assume DEAD (Unconscious) pose inside!. Kid18120 added a comment to T66957: No bolt animation after shooting with the M320 LRR and probably GM6 Lynx. Upvoting to keep it visible, so (hopefully) people wont report more issues about it ! Kid18120 added a comment to T66954: 3D optics peripheral vision problem.. I don't see the problem in that ? Kid18120 added a comment to T66953: SUGGESTION: Occasional sun flare / flash when someone is looking through a scope..
Modern scopes all have anti reflection lens so i'm expecting these to be in 2035 aswell. Kid18120 added a comment to T66933: Pants in different visual clothes slot. Kid18120 added a comment to T66921: [Tweaking] More realistic tree/bushes behaviour. Kid18120 added a comment to T66917: Please add localNamespace (for MP security). Kid18120 added a comment to T66911: Weapon is shaking when player takes different stances. I'm quite sure it's an intended behavior to give the player a visual feedback of the less stability you have in those stances, which are not natural. Infact if you look closer, you can notice the step lean left, that changes weapon shoulder too, shakes more than the others. /downvoted for now, will upvote if a dev or a mod confirms it's a bug! Kid18120 added a comment to T66910: Deploying a mine or explosive charge will trigger "FiredNear" event. If i have understood what you're explaining correctly, i'd say it's just how the engine works. When you place a mine (or generally a plantable explosive) it has a area of effect which triggers the firedNear function to "detect" vehicles (in this case) to get the mine blow up or, in touch off explosives, to identify the area and kind of damage. Kid18120 added a comment to T66899: I spawned as a bird. It's not a bug, it's just the mission you were trying to join that had no JIP for clients or the unit you chose was dead ! Kid18120 added a comment to T66897: Equipment configuration favorites list..
Kid18120 added a comment to T66888: Smoke launcher on SpeedBoat. Kid18120 added a comment to T66886: Dedicated Servers have a higher version than clients. Our gameserver hoster reported that there has been a 2nd update for ded servers today and now the issue is resolved. You can mark this issue report as such and close it. Added a screenshot as proof ! Kid18120 edited Steps To Reproduce on T66886: Dedicated Servers have a higher version than clients. Kid18120 added a comment to T66874: Player customizable loadouts..
That's a mission maker matter. Kid18120 added a comment to T66868: Helicopter makes a crashing sound when landing. Also, if you slide-land (touch the ground while still moving forward) at more than 80 Km/h you will damage the helicopter and the "crashing sound" is triggered. Kid18120 added a comment to T66866: [FEATURE REQ] dynamic weather module. There actually is a dynamic-random weather, not sure if it works in the current build! Kid18120 added a comment to T66854: Need ability to set cloud level the same way as fog. Kid18120 added a comment to T66848: Stop lights, reverse lights and taillights should be a source of light. Kid18120 added a comment to T66843: Controls are Too Uncomfortable!. Putting more than 1 issue in the same issue report. Read the HOW TO. Kid18120 added a comment to T66830: Helicopters not interacting realistically with water. Kid18120 added a comment to T66827: Cannot Alt+Tab to an empty desktop..
Kid18120 added a comment to T66825: Helicopter Precision Mounting/Dismounting. Kid18120 added a comment to T66823: NPC character performs weird dead animation (ragdoll) inside an A2OA building.. The game doesn't feature a proper porting of old arma content so this issue can in no way be assigned to arma 3. What you are doing is pretty much modding the game. Kid18120 added a comment to T66822: when clicking on a control option to change control mapping, game pauses for up to 30 seconds. Do you have any other kind of controller plugged in ? Kid18120 added a comment to T66820: Cloud layer is at a fixed height above player.. Tested and you can definitively climb over the clouds layer, even if it takes a bit. Kid18120 added a comment to T66808: Feature Request: Size-Adjusting reticles in zoomable scopes. Kid18120 added a comment to T66805: SDAR UW Bullets too weak. Kid18120 added a comment to T66791: Enabling "verifySignatures" directive causes Major Performance issues on a Server..
Kid18120 added a comment to T66768: Ejecting from a boat in full speed makes the player lose the control. It's an intended behavior... jumping out a boat at 100Km/h is like concrete and you ragdoll and loose consciousness. Kid18120 added a comment to T66763: Can fire primary weapon while it is on back. Kid18120 added a comment to T66751: Image stuttering, when i move the charecter head!. Yeah, happens after todays DEV build update! Kid18120 added a comment to T66749: Red, purple and orange smoke has weird border effect. Kid18120 added a comment to T66748: Game freezes while loading AW invade and annex mission - dev + logs. Anyways this would be a mission-related bug, not game related, hence you should report it to its dev not to BIS. Kid18120 added a comment to T66744: BLUFOR Marksman spawns without chestrig. can be closed as RESOLVED ! Kid18120 edited Steps To Reproduce on T66744: BLUFOR Marksman spawns without chestrig. Kid18120 edited Steps To Reproduce on T66742: Underwater NVGs cause over brightness at night. Kid18120 added a comment to T66733: KA-60 MFD textures - poor quality. Kid18120 added a comment to T66722: MXM shouldn't have full-auto fire mode. Kid18120 added a comment to T66699: [FEATURE REQUEST] louder breathing underwater in the scuba gear plus the exhaled bubbles. Kid18120 added a comment to T66695: Receiving data forever (one specific server). Issues caused by 3rd party mods/addons are not an ArmA3 Feedback Tracker matter. Check both server side and client side the correct ACRE installation. It works just fine on my clan's server (which i am main admin of) with latest DEV build and ACRE mod enabled. Kid18120 added a comment to T66693: "Katiba" has no recoil?. All Bullpup design rifles have way less recoil than "conventional" design rifles (example MX family). Kid18120 added a comment to T66688: Request: Add cones to flood lights and flash lights..
Kid18120 added a comment to T66682: Muzzle Fire randomized. Kid18120 added a comment to T66668: Low buzzing sound in mission intros and death screen (with radio chatter). Kid18120 added a comment to T66663: FEATURE REQUEST - water effects on screen when moving onto land. Kid18120 added a comment to T66657: Cannot zero in target. You can zero with ironsights, you can't with RCO / ARCO. Kid18120 added a comment to T66651: Equipement issues - NVG. What init command are you using for it ? Kid18120 added a comment to T66636: Bullets can't travel through certain types of bushes. Kid18120 added a comment to T66596: Impossible to attack infantry and empty/hijacked vehicles with fire and forget missiles..
Do you realize that we currently have NO missiles in the game ? Rockets are not meant to be accurate in real life neither.. anyways with a bit of practice you can litterally snipe vehicles, a bit harded for infantry but still possible. Kid18120 added a comment to T66558: Feedback on the new JayHolder radio protocol combat phrases. Kid18120 added a comment to T66496: Supressor on rifles have no sound..
Kid18120 updated subscribers of T66406: EBR is an assault rifle. The M14EBR is a BATTLE rifle (Enhanced Battle Rifle, EBR), not an assault rifle and yes, it's a 7.62. The MXM isn't a sniper rifle but a MARKSMAN rifle (MXM = MX Marksmen, as MXL = MX Lightmachingun) and true,it uses a 6.5 ammunition. I don't see where the problem is ? 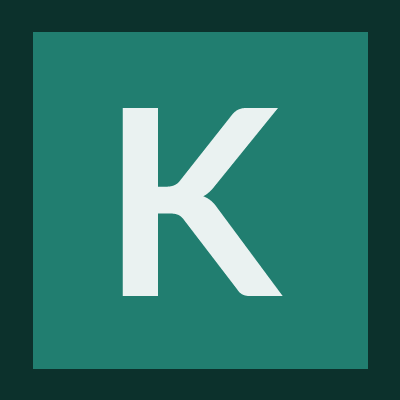 Kid18120 added a comment to T66154: [Feedback Tracker issue] - upload file size restriction too small for zipped archive of bidmp/mdmp/rpt. Upvoted for issue reporting sake ! Kid18120 added a comment to T66146: Error in expression <3\ui_f\scripts\initDisplay.sqf". Are we talking about DEFAULT respawn function provided by BIS ? Kid18120 added a comment to T66144: vehicles/units warp when far from observer. Was the same in A2. Kid18120 added a comment to T66143: Boats seem unnaturally slow when driving full speed. Kid18120 added a comment to T66138: Weather After Very First Update. Rain was disabled in one of the very first updates due to a bug, possibly gamebreaking. They did it on purpose and they will re-enable the raining as soon as they fix the bug above! Kid18120 added a comment to T66136: Chopper damage model is way off (Video). Kid18120 added a comment to T66129: Game Crash single mission. Crashes caused by 3rd party content isn't A3 matter. Kid18120 added a comment to T66092: For Final: Put Stratis and Altis on one map (like Sahrani and Rahmadi). Kid18120 added a comment to T66088: Player's inventory closes when another player walks away from ammo crate. Kid18120 added a comment to T66084: hacked into the air across all servers. I think it's just a script kid playing around.. no worries it will fix by itself as soon as BattleEye will be operational..
Kid18120 added a comment to T66083: Make bleeding work. Kid18120 added a comment to T66080: Boats dialog box (commands) missing after respawn. I'm using a vehcile respawn script in my clan's missions and everything works correctly. Kid18120 added a comment to T66065: Make GPS more accurate - 10 digits position instead of current 6 digits. "My real GPS has moving map and is accurate to 2m. It allows for marking things seen on the map and reading accurate coordinates of them"
I don't question it does, the fact is in the game when you press 'M' or whatever key you have for the map, it's like bringing up your paper map. Infact the GPS ingame also has a moving map (in trasparency, since it's a HUD-like GPS) and allows you to see landmarks etc. While i can agree with having a 10 digit GPS, i still want the 6 digit map ! Kid18120 added a comment to T66036: Allow mounting attachments to the SDAR. SDAR doesn't have a RIS/RAS system so it shouldn't be able to use attachments. Kid18120 added a comment to T66030: Green and red chemlights are too dim relative to the blue and yellow ones, they pop out more often too.. Agreed with what Bullet said. ArmA is supposed to be a simulator.. while i do agree that certain aspects should be "tweaked" to ensure the playability (gameplay sake), other aspects should remain realistic and act as close as possible to real life counterpart. other colors are used to integrate the 3 above and/or other uses but these are the main. Kid18120 added a comment to T66028: Allow players to place all buildings/structures in the editor. Kid18120 added a comment to T66021: Horrible performance with specs higher than/equal to "recommended" specs.. Tried turning off the vSync ? Kid18120 added a comment to T66017: Add arms animation when swimming. If you're swimming with a Wetsuit and rebreather you swim in "tactical" stance with just 1 arm in front to keep the stability, which is intended. Kid18120 added a comment to T66015: Autoban on any server when just have another islands, but Stratis is unmodified..
You aren't forced to use 3rd party tools, you can do it from the game anyways ! Also, as server admin, i can assure you that allowing players to join your server with mods that are not needed can potentially lead to server instability (server "reads" every single pbo / bisign file you have loaded upon joining). Kid18120 added a comment to T66009: Arma 3 HDR sound reduces volume of other system sound sources. Are you sure it isn't windows 7 auto-volume leveling feature ? Kid18120 added a comment to T66007: Way to easily Kick Trolls or TEAM KILLING players. Kid18120 added a comment to T66003: Autohover mode. Kid18120 added a comment to T65998: Always mounted NVG. Just drag and drop your NVG from NVG slot into your backpack or tactical vest (if you have space for it). Kid18120 added a comment to T65991: Semi/ automatic firemode: Automatic weapons in semi firemode should switch automatically to full-auto when holding the trigger. In real life if you set your fire selector on SEMI it wont magically switch to AUTO just because you're holding down the trigger. Kid18120 added a comment to T65949: Ballistic penetration for armor (MBT & APC...maybe all vehicles?) and situational awareness..
Kid18120 added a comment to T65939: Backpack Gear Theft. 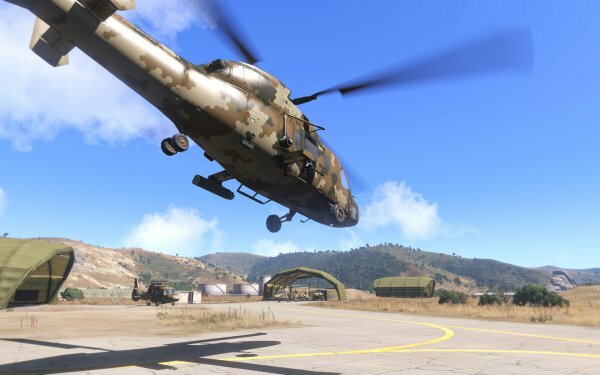 Or simply add a hint "playerX is accessing your gear.." and a mousewheel action "Grant / Deny"
Kid18120 added a comment to T65937: AH-9 / MH-9 should be in a NOTAR configuration - more fitting with Arma3 futuristic design. Question is: How in the name of **** does it keep stable with only the main rotor ? Kid18120 added a comment to T65919: Ifrit GMG and Hunter GMG rounds land far short of zeroed range..
What are you guys expecting ? A sniper rifle GMG/HMG ?.. Kid18120 added a comment to T65904: Speed of all vehicule.